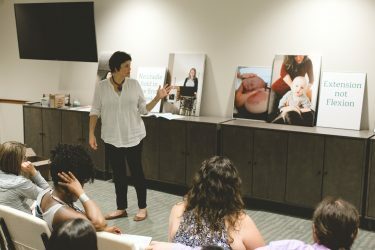 In a commitment to support normal birth in a culture of increasing intervention, the Midwives of New Jersey began offering homebirth as an option to our low risk clients in 2008. Since 2011, approximately one third of our births were homebirths. This is not surprising because Homebirth in the U.S. is on the rise, up 29% between 2004 and 2009. The Midwives of New Jersey are pleased to be a part of this movement. Home Birth allows for the natural progression of labor without the disruption of car rides, hospital procedures, and policies. Giving birth at home allows women the ability to labor and deliver in a comfortable and familiar environment. Home birth encourages fathers to be very involved in the exciting experience of the birth of their child. We also provide portable tubs for home waterbirths. Who can have a homebirth? Is homebirth safe with the Midwives of New Jersey? We are extremely experienced Certified Nurse Midwives, having attended thousands of births. We are skilled at assessing whether or not a client is a good candidate for a home birth. We monitor our homebirth clients carefully and continuously to ensure the safety and of a birth at home. Our homebirth clients are asked to attend a homebirth class to prepare them for their home birth. Our clients are made aware of the possible complications of childbirth that would be better managed in a hospital setting. We also schedule a home visit in order to become familiar with a client’s home and to discuss any questions they may have. We carry several medical supplies to our homebirths including oxygen, medications, and IV fluids to be used if necessary. We renew our Neonatal resuscitation certification every two years. We have privileges at Morristown Medical Center where we can transfer our clients if necessary and continue to care for them. However, in a true emergency we would transfer to the nearest hospital. Following a homebirth, we will visit you two or more times at your home or in our office. While we do not minimize the possible risks of homebirth, we acknowledge that the healthier a woman and her pregnancy, the less likely a complication is to arise.